Dr. Stephen Chan is an assistant Professor in the department of Mathematics and Statistics at the American University of Sharjah. 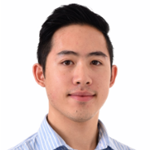 Stephen Chan was awarded the EPSRC Doctoral Prize Fellowship in 2016 at the University of Manchester, UK. His research areas includes extreme value analysis and distribution theory in analyzing financial commodities data and cryptocurrency data. He co-developed and co-wrote an R package, entitled “VaRES”, for computing value at risk and expected shortfall. He is a co-author of the book Extreme Events in Finance: A Handbook of Extreme Value Theory and its Applications.